Plain living and a high thinking are recommended for everyone. Simplicity means to find balance in your life by which your mind, your body are in the most optimum condition. One should not eat too much or eat too little, sleep too much or sleep too little. If you do anything in extremes, then your whole consciousness becomes very much infected and affected. Just like a wife of one of the dictators of eastern Asia, who had over 7000 pairs of shoes. If she rotates them, she will probably wear only one every ten years. Desires are endless, the more you have, the more you need and you are never satisfied. We need to do everything in right proportion as per our requirements. Very good article. The right proportion is learnt from a spiritual master. 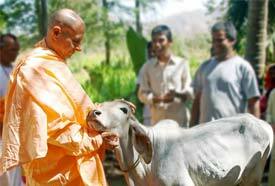 All glories to HH Radhanatha Svami Maharaja. All glories to H.H. 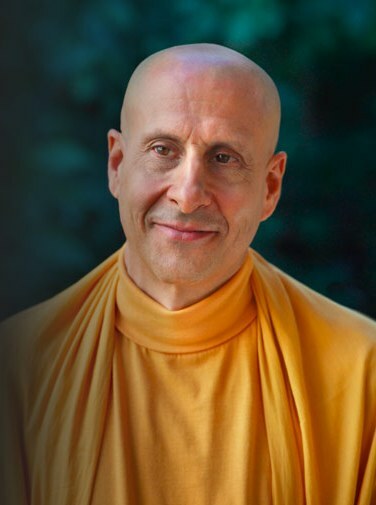 Radhanath Swami Maharaj.